boxes too simple to protect products. No packing list. No specification. missing the drains which were added in order. I am pretty happy with this purchase, though I wouldn't say that it's something that I would rave about. The product is good in every way that I look at it. The finish looks pretty nice, and it seems to be of good quality, too which eases my mind about it fading or flaking or chipping off. It also fits the existing holes in the sink perfectly, so there's no problem with the installation. As for the price, I think it's still quite expensive even though it's on sale. Still, I think it was worth it. The faucet's gold finish looks quite good, and that's actually one of the reasons why I chose this one over the other faucets that I saw before this. The overall design is quite good. It looks simple yet has this elegant appeal to it. I was so excited to have this faucet installed but then the plumber told me that there's something missing. I forgot what it's called, and I was thinking of calling Fontana to ask for the piece but that would mean waiting for another week. Luckily the plumber had one and he gave it for free, doesn't cost much anyway he said. 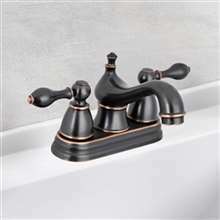 The gold finish on this faucet is something really worth talking about. It's really vibrant and makes this faucet look more expensive than it actually is. Personally, I would have loved it more if there were just a teeny weeny bit more of gold tinge in it, but this one is okay. Aside from the looks, this faucet also works excellently. Great value for money.